Because I'm in the minority with this one, it seems. If you care about gaming even remotely and read gaming news, chances are you still come across articles about GTA Online every now and then, even this many years after the release of the game. That's right, GTA Online. The MMO-lite component of the game has turned into something of a mainstream phenomenon, and thanks to the inclusion of microtransactions, is insanely profitable. It's also the reason why Rockstar won't be touching single-player content with a ten-foot pole. It wasn't always like this. Back when GTA V was still kind of new, Rockstar went so far as to officially announce a single-player expansion. Well, tease, more like, but they outright said that players can expect further story content that expands upon the tale of Michael, Trevor and Franklin. That sounded awesome back in the day. Remember how good The Lost And Damned and The Ballad Of Gay Tony were back when Grand Theft Auto IV was cool? Something like that for Grand Theft Auto V would have been even cooler thanks to the multitude of technical improvements the latest installment of the franchise boasted. But then the people playing GTA Online just had to go and make it a stable source for large amounts of revenue. 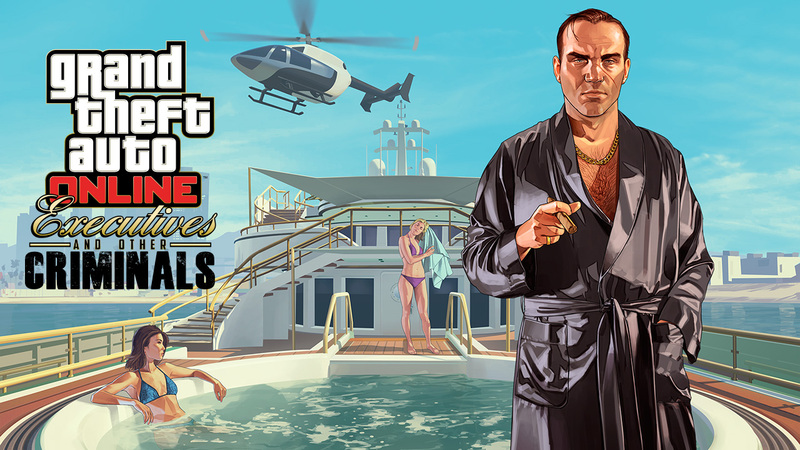 In mid-2016, it turned out that microtransactions alone have made Take-Two Interactive Software upwards of $500 million, which was almost double GTA V's budget. 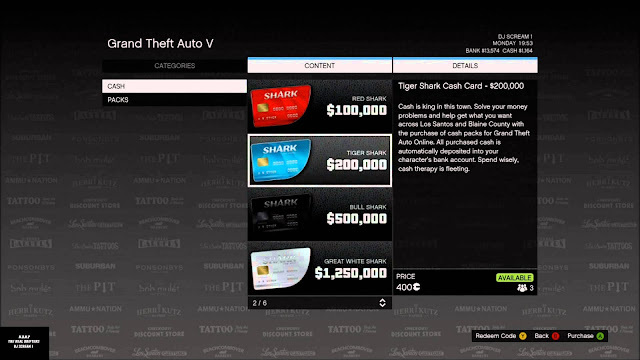 Remember, that's just the Shark Card sales. Hyper-popular AAA titles don't even make that much during their entire shelf-life across all revenue streams. So what compels people to buy those microtransactions? All the new content of course, combined with the fact that there is no way to cheat your way to millions. Rockstar is constantly updating GTA Online with relatively large DLC packs, and always for free. 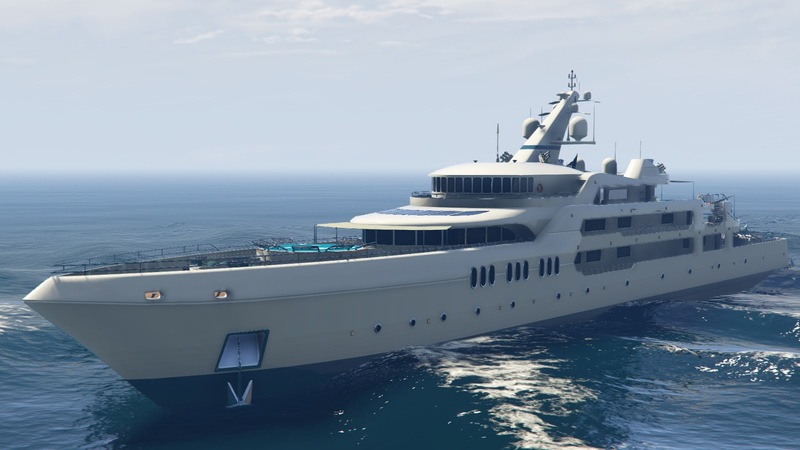 These updates usually contain a bunch of new items and vehicles to buy, as well as luxurious goods like offices, properties or yachts which cost fortunes. They also often ship with new gameplay mechanics that allow you to earn the in-game cash needed to buy all that over the course of 30+ man-hours of grinding, approximately. See, the average person playing GTA Online isn't like you or me who cares about video games. They usually dedicate very little (by our standards, anyway) time to gaming. So when they get home from a tough day at work, they don't want to re-play the same heist for the umpteenth time, especially if 8 times out of 10 one of the random members will quit halfway through which equals an instant failure. They don't want to work, they want to have fun, and if having fun means buying that $8 million yacht then damn right they're going to drop actual cash on that. Imagine for a second that you are on Rockstar's board of directors and a developer comes in with two potential investments: 1) single-player DLC which is paid and requires a whole lot of content, voice work, and assets to be made, and that will only be bought by a fraction of the community; or 2) a comparatively simple and small GTA Online update that will automatically be accessible to everyone and drive Shark Card sales through the roof with minimal investment. Which one would you choose? So now you see, the quest for Grand Theft Auto V DLC is never-ending and quite frankly, a waste of time. If Rockstar can spend little on something that will make a lot, or spend a lot on something that will make little, why would they choose the latter? They're making a conscious business decision here. Doesn't make me any less sad about it, though. Geoff is a video games addict and also part way through a coding bootcamp. In case you hadn't caught on yet, he also loves writing in his spare time. When Geoff isn't at his laptop you can usually find him with game controller in hand or otherwise tweaking his racing drone. It's not completely hopeless: Rockstar did go back and patch Grand Theft Auto IV after six empty years of nothing. I'm definitely with you on the whole "no multiplayer only games" thing. A childhood and teenage-hood with an attitude towards one's peers comprised of 80% disdain and 20% genuine loathing, in the era where there wasn't really any possibility of playing with people I DON'T know, will do that to a guy. I dunno if the author will ever reply to these comments, but I'm also inclined to agree with the two of you. I wonder how formulative the experience of gamers being loner nerds (before gaming was MAINSTREAM) is to older gamers' opinions on multiplayer-focused games. ...oh hey, you did reply.